Last pic before babies came. Taken 11/11/11 - I was 30 weeks 5 days. 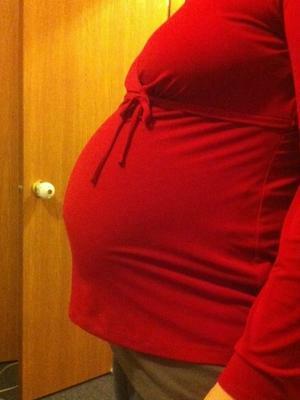 I had my boy/girl twins on 11/16/11 at 31 weeks 3 days. Mason weighed 3lb 14oz and was 16 1/2 inches long. Geneva weighed 3lb 11oz and was 17 inches long. They were in the NICU for 5 weeks and 2 days. They are now 18 months and doing amazing.